Honey is grand thief when it comes to stealing her brother and sister's hearts. 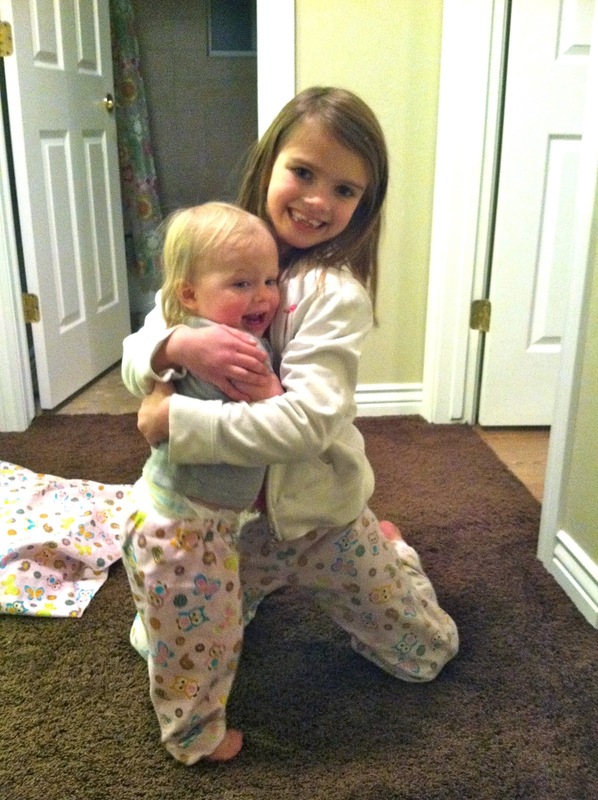 After making a pillow case and pajama pants, in her "Cute as a Button" sewing school, Ellery decided Honey needed her own pair of matching pants. I've loved watching Ellery gain confidence in this class. It is only 1 hour a week, but well worth it, and it seems enough for her to be learning some real skills on the sewing machine. 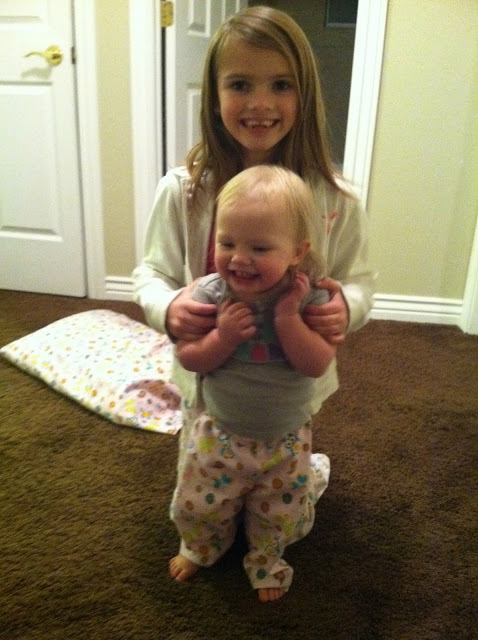 On any given night you will find Honey Fat strutting around, belly out, in her pajama pants, certain she is as old as her siblings, all the while Ellery is glowing in pure pride and joy. This is the stuff life is made of.